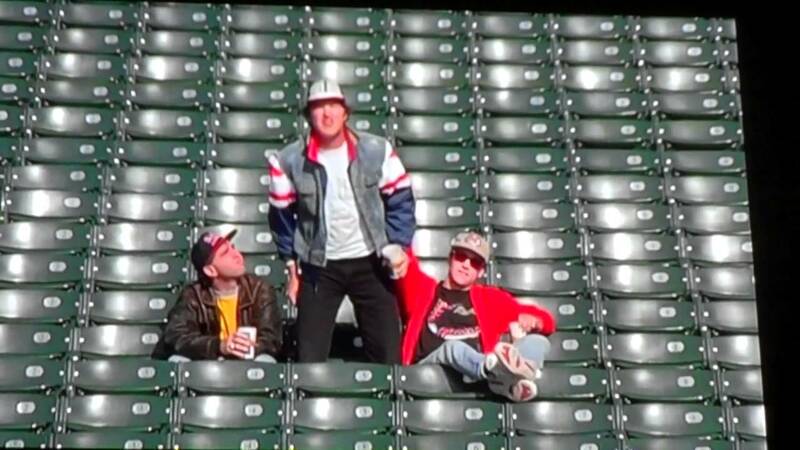 Now that shout is out of the way…I appreciate there’s not a ton of different things you can do with a baseball movie. “Plucky band of misfits win the day” is by far the simplest, but the problem for the producers of this movie is, they already did that and the Cleveland Indians are winners now. So, what to do, what to do? The answer is – spend the first 45 minutes of the movie turning them back into loveable losers! Willie Mays-Hayes (now played by Omar Epps, as Wesley Snipes had become a star since 1989) has a knee injury so isn’t as fast as he was; Roger Dorn (Corbin Bernsen) buys the team and is terrible at being an owner; Jake Taylor (Tom Berenger) retires to become a coach; Cerrano (Dennis Haysbert) becomes a Buddhist and doesn’t care if he hits or not; and coach Lou has a heart attack and is relegated to a hospital bed for most of the movie. In a blink-and-you’ll-miss-her cameo, Rene Russo pops up to give Berenger some advice which he completely ignores. I get the feeling she was in town for half a day and they got her to film a scene – still, it’s good to know they’re still together I guess? Ricky “Wild Thing” Vaughn (Charlie Sheen) has a transformation greater than them all. He becomes a corporate shill whose crazy days seem far behind him, with a beautiful blonde agent / girlfriend, abandoning the 2nd grade teacher girlfriend he apparently had the previous year. This is Nikki (Michelle Burke), who despite working with troubled kids thinks Ricky was much better before – which in this case was when he was a violent troublemaker, in and out of jail (where we met him at the beginning of the first movie). I hope you’re getting a flavour of where this is going. So when the team is torn down again, just before the halfway mark…they run what amounts to a repeat of the first movie. Dorn sells the team back to Rachel Phelps, the villain from part 1, even though when her plan to run the team down and move it to Miami was discovered, she’d have definitely been barred from ever owning another team again. She does the same dirty tricks she did in part 1, the team bonds the same way they did in part 1, and they get all the way to the World Series, one better than they did in part 1. The primary antagonist (Phelps isn’t in it enough) is catcher Jack Parkman (David Keith), who is signed by the Indians, treats the rest of the team like garbage then is traded to the Chicago White Sox halfway through the season – guess who they need to get out in the last game of the movie? Reading the IMDB goofs section for this is fun. They get pretty much every aspect of baseball wrong, from simple matters of fact like batting orders changing from inning to inning to blatant rule infringements (catchers aren’t allowed to insult batters at the plate, for one). They rip off the most famous incidents in the game’s history, like Babe Ruth’s called shot and Willie Mays’ overhead catch, almost casually; okay, this is worse if you’re actually a fan of baseball, but there were real players involved with the movie who probably could have told them this stuff. Again, like the first movie, it’s a drama with comedy elements awkwardly welded on. Bob Uecker as the commentator tries to provide laughs but fails, Randy Quaid as the mouthy fan in the bleachers is just loud and annoying, and while the team are mostly strong actors, comedy doesn’t appear to be their thing – honourable exception to Dennis Haysbert, whose new religious faith is played pretty well (although I’m sure Buddhists are able to compete at sport, the same as everyone else). 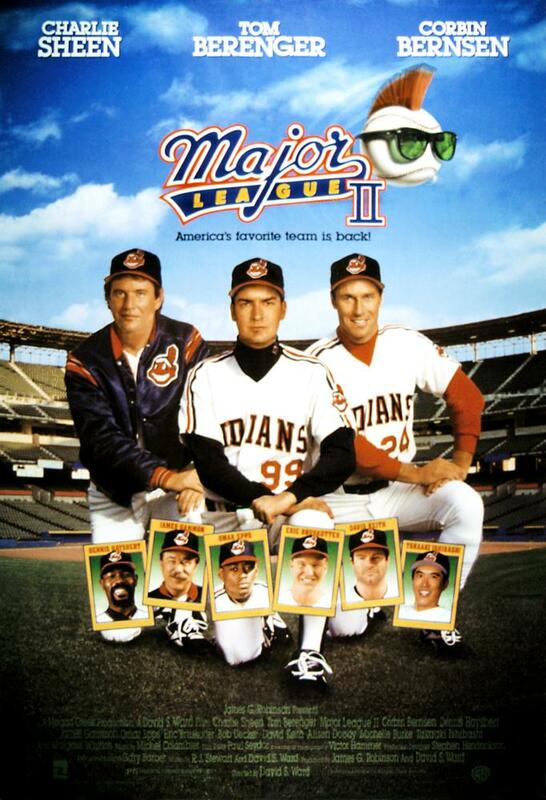 A couple of years ago, during Charlie Sheen’s “troubles”, they were evidently planning a new “Major League” movie, ignoring the part 3 that was made in 1998 (which a surprisingly large number of cast members – minus Sheen and Berenger – returned for). No-one mentioned to Charlie at the time that the entire cast would be a tiny bit long in the tooth to be baseball players, and unless they were all going to be coaches? Anyway, it was a bad idea, and it looks like it’s been dropped, plus Sheen’s star is somewhat less bright than it was then. 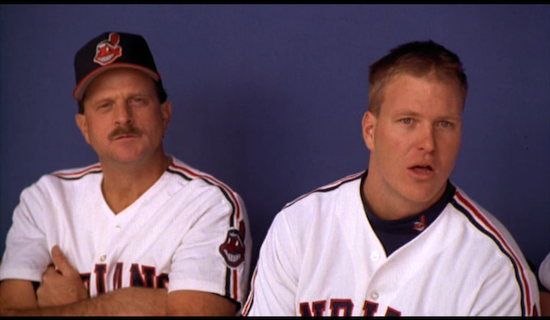 “Major League 2” did manage to predict the future, in two odd ways. 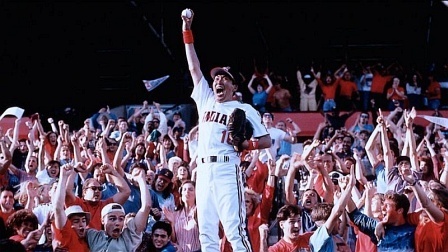 The Cleveland Indians made the World Series the year after this movie was released, their first time ever; and their trading for a Japanese player (comedian Takaaki Ishibashi) predates the influx of Japanese players into baseball by a number of years. But sadly, that’s not enough to make it a good movie, which is a damn shame as there’s tons of potential for a great comedy to be made about baseball. It’s not going to offend you, and there’s gentle laughs here and there, so go into it with very low expectations and you might be okay. 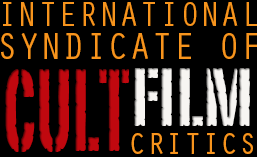 This entry was posted in Reviews and tagged Charlie Sheen, Reel baseball, Tom Berenger. Bookmark the permalink.